Beyond Meat, one of a growing number of companies developing plant-based meat alternatives, has filed with the SEC to go public. 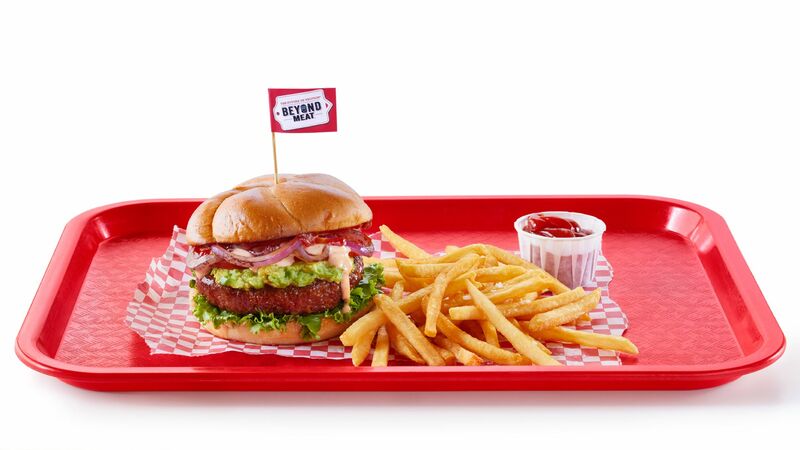 Why it matters: With growing environmental and health concerns, companies like Beyond Meat, along with Impossible Foods, Just Foods, and others, have garnered attention and customers in recent years. By the numbers: Beyond Meat is still unprofitable. For the first nine months of 2018, the company had a net loss of $22.43 million on $56.42 million. For the same period in 2017, it had a $23.38 million loss on $21.13 million in revenue. For all of 2017, it had a $30.38 million loss on $32.58 million in revenue. To date, the company has raised more than $140 million in funding, most recently a $55 million round last year. Its backers include Kleiner Perkins, Tysons Food's investment arm, former General Electric CEO Jack Welch, and actors Thomas Middleditch and Leonardo DiCaprio, according to Pitchbook. The company will list its shares on the Nasdaq under the ticker symbol "BYND." Editor's note: This story has been corrected to reflect the fact that Beyond Meat lost money in 2017 rather than earning a profit.